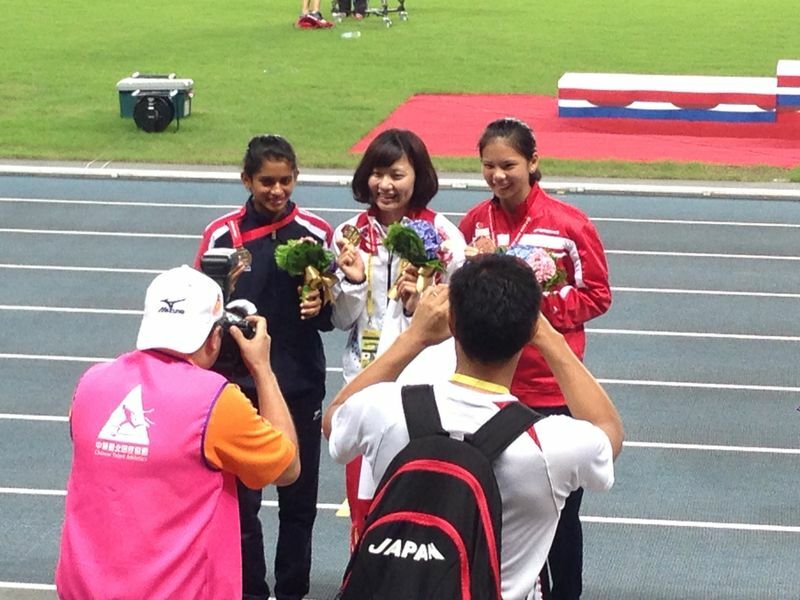 Jannah Wong rewrote her own 100m women hurdles national junior record on Friday, 12th June in the morning with an inspiring 14.43 seconds 0.6m/s run at the Asian Junior C’ships. Her previous best was 14.69 seconds which was set this year at the National Schools. Her effort was good enough as an automatic qualifier for the finals. The finals which was held the next day 4:10pm Taipei time, Jannah was assigned lane 3. The 18-year-old continued her fine form and went faster, in the process she managed to improve the national mark. 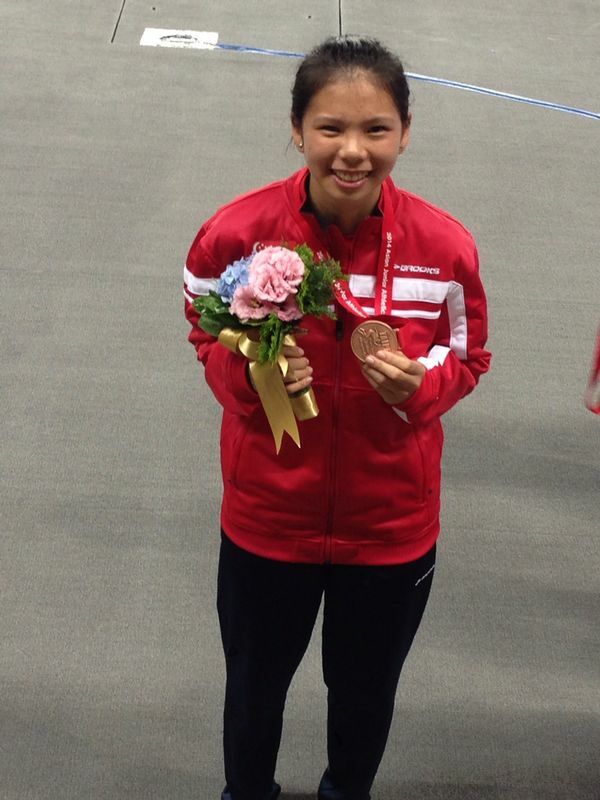 Her timing was 14.14 seconds with a slight headwind of -0.2m/s, to finish third for the bronze medal. She erased the previous record, 14.23 seconds 0.7 m/s which was held by Dipna Lim Prasad. 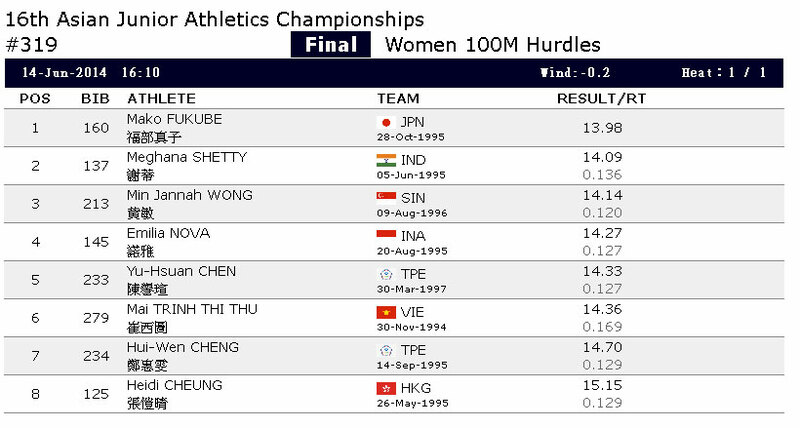 Her effort in Taipei has earned Jannah a place at the upcoming July IAAF World Junior C’ship, the 100m hurdles qualifying mark for this competition was pegged at 14.20 seconds. Video courtesy of CTTFA & photos by Team Singapore Asian Jr.